Grind the above masala with little water and keep it ready. Take a sauce pan and add 2 teaspoon oil. Add finely chopped onions and fry it till golden brown. Add above ground masala and stir. Add mashed potatoes and peas. And add salt to taste. 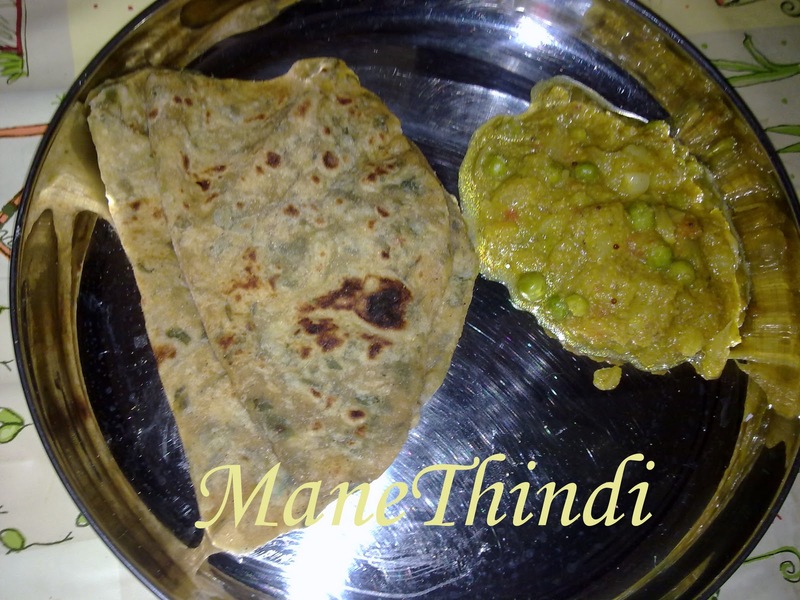 Garnish with coriander leaves and serve hot with chapatis/parathas.